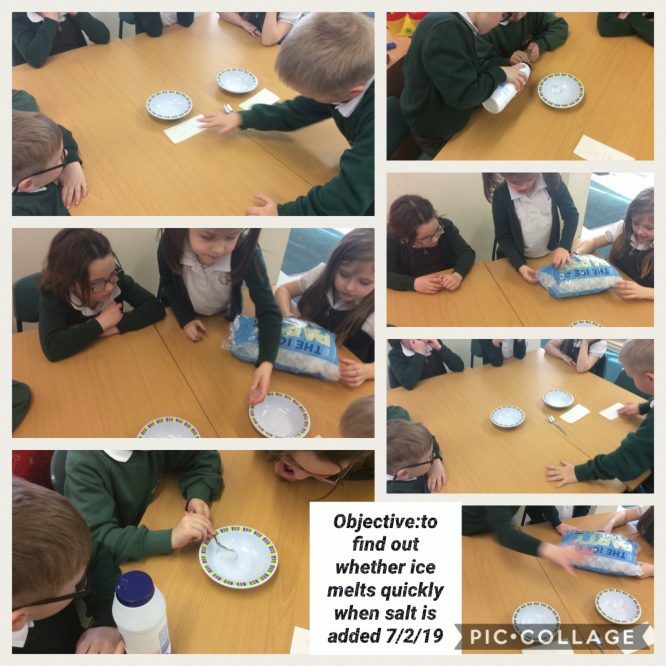 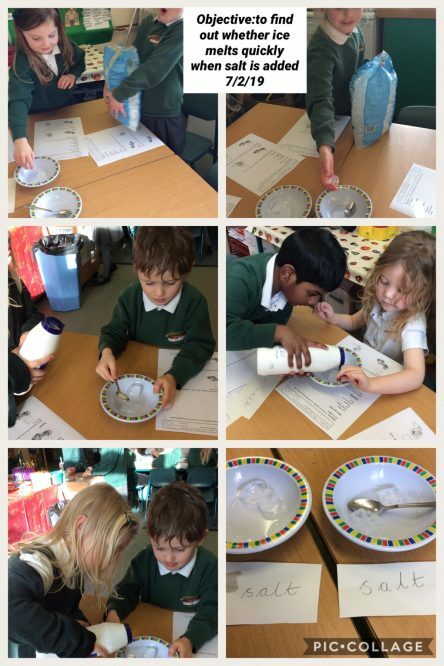 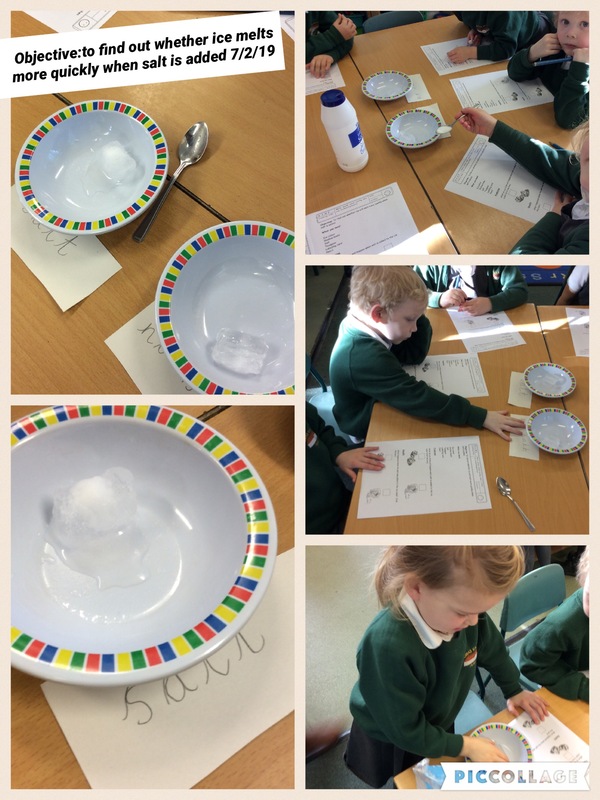 As part of out Winter Topic we have carried out an investigation this afternoon to see whether ice melts quicker when salt is added. 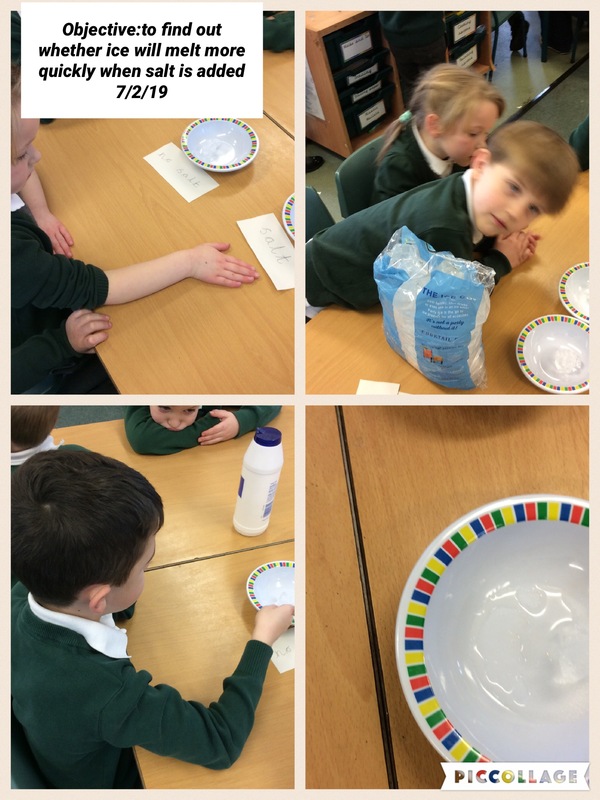 We discussed what we needed and what we had to do in preparation. 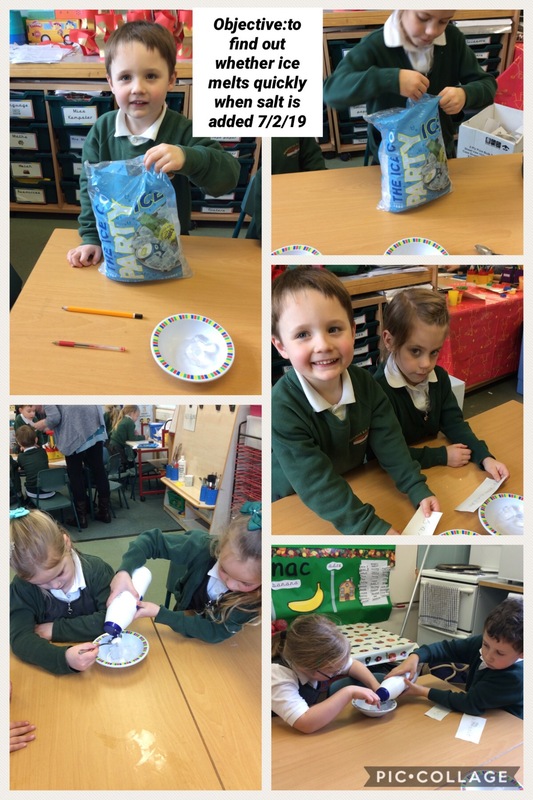 The children then wrote up the investigation, predicted what they thought was going to happen, carried out the investigation and then wrote up their results.